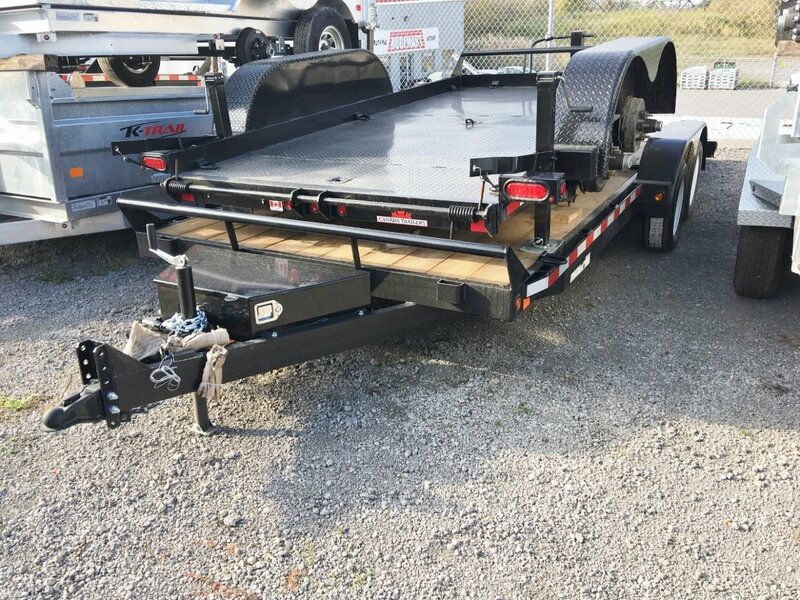 Probably the best built open car hauler in the industry. 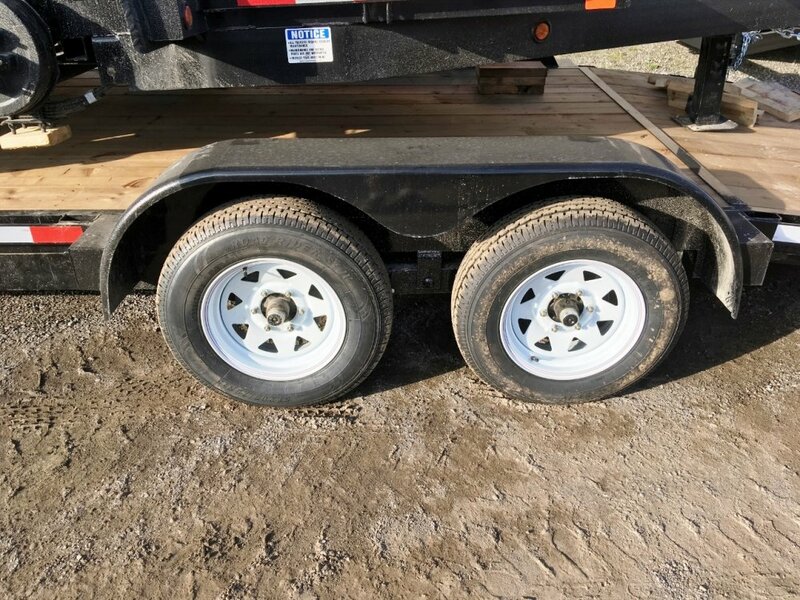 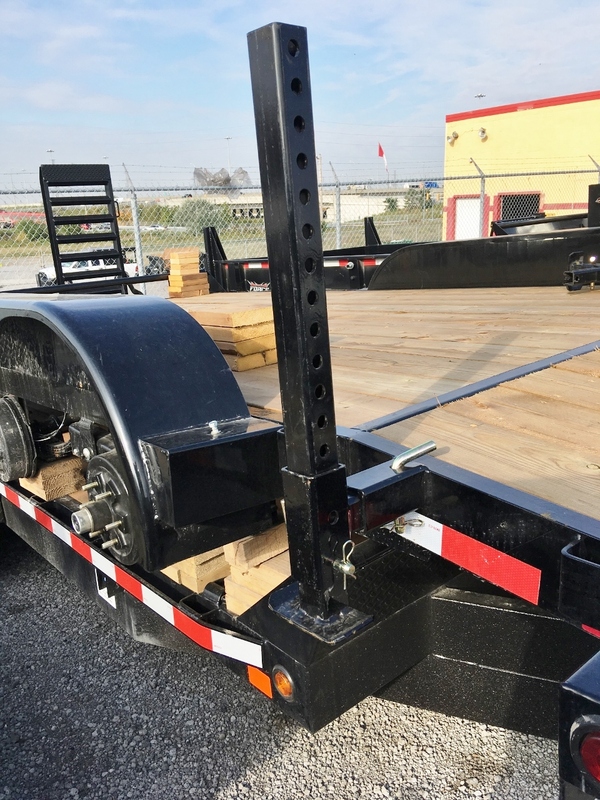 Full mainframe with separate deck frame, slipper suspension, pressure treated plank deck, front bump rail, rear stabilizer legs, 205/75R15 radial tires, 6 bolt hubs, adjustable coupler, LED lights, flush mounted, all sealed wiring, brakes on both axles. 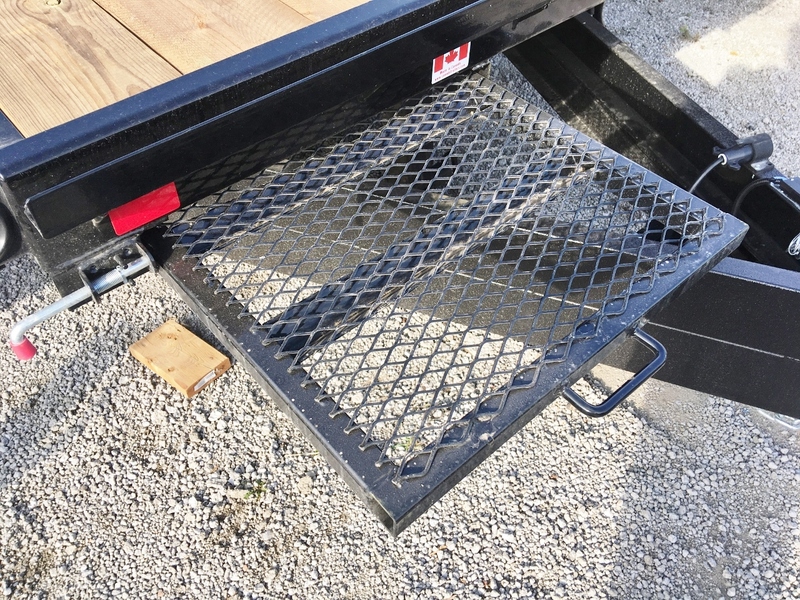 This one is ideal for lower clearance vehicles. 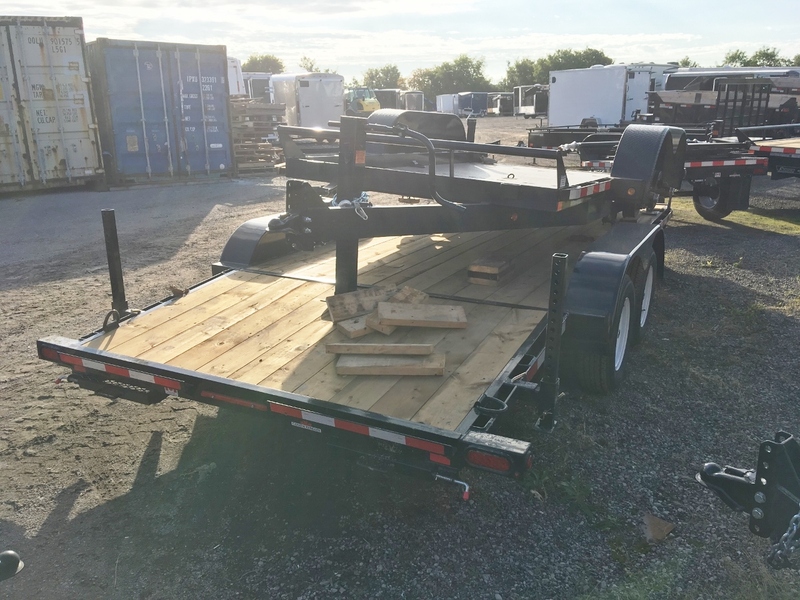 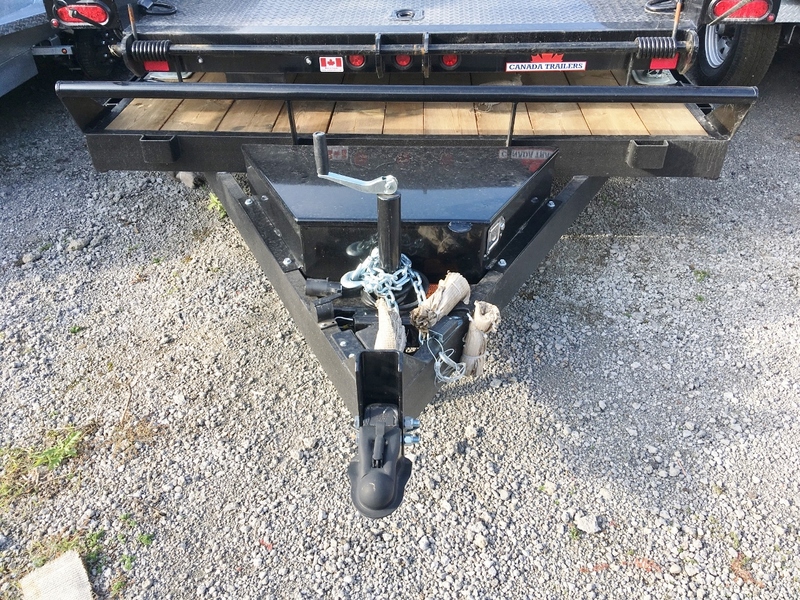 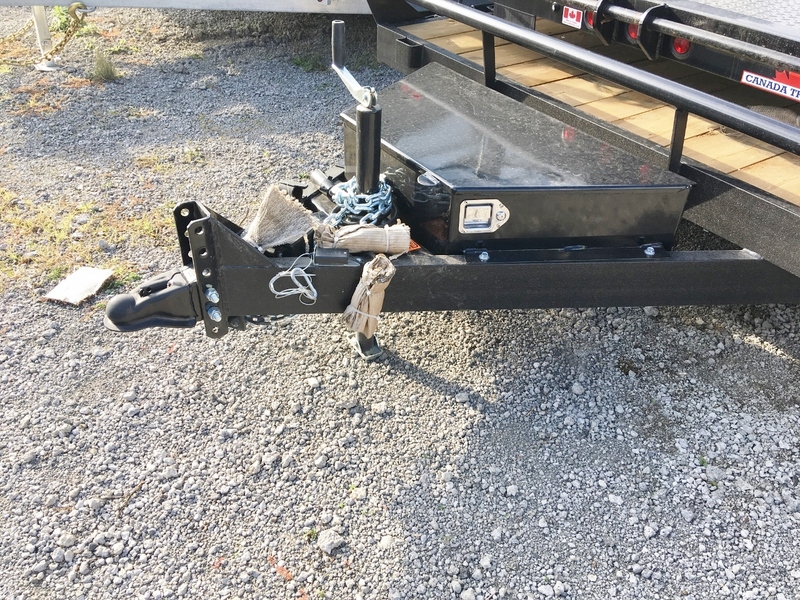 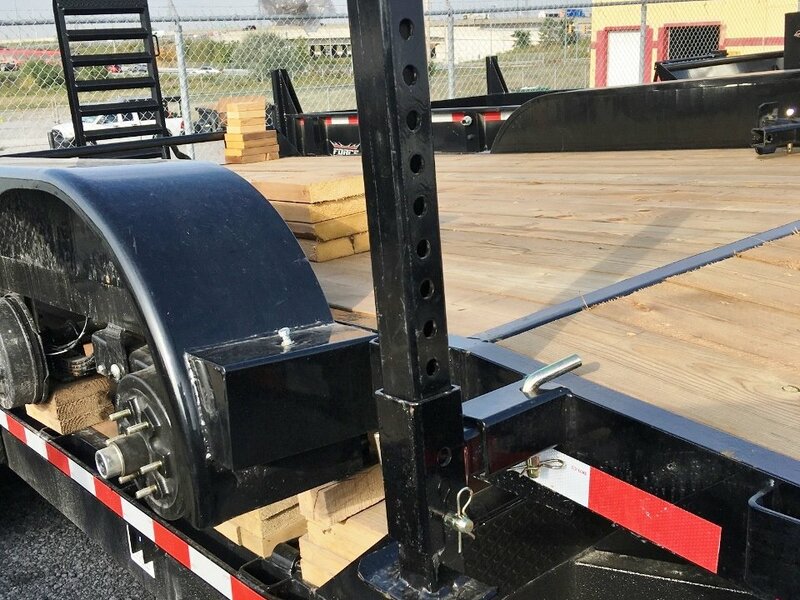 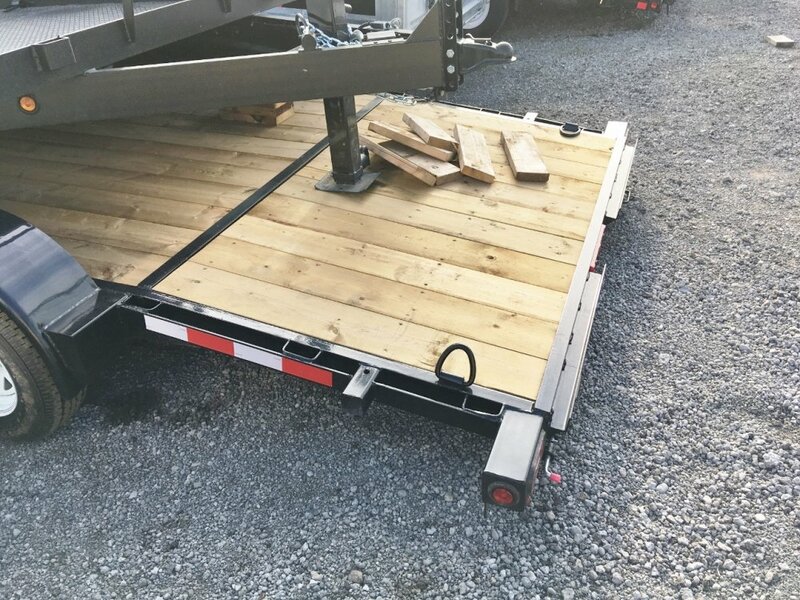 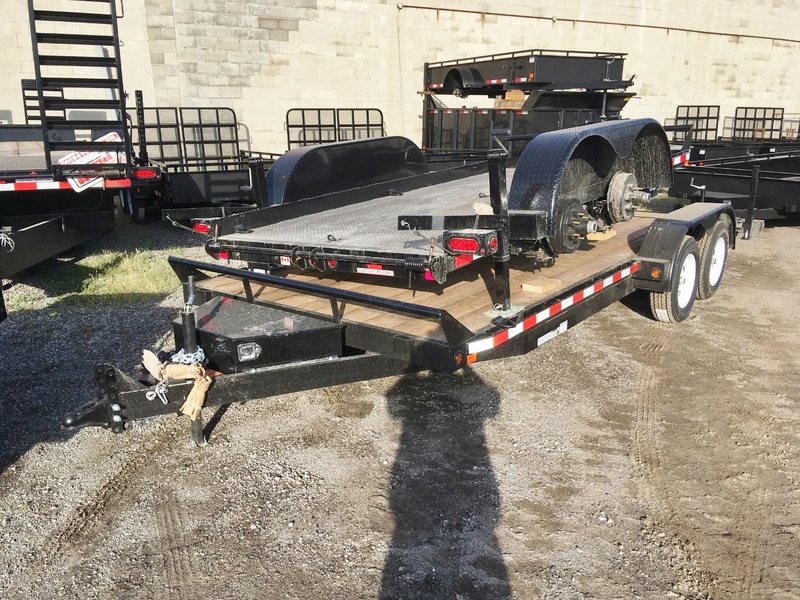 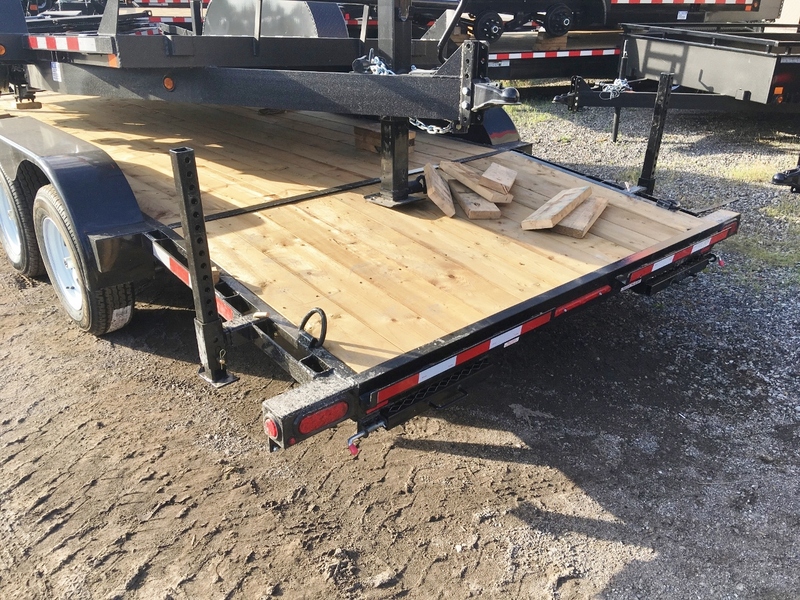 14' flat deck plus 4' beavertail, 5' pull out ramps, rub rails and stake pockets, d-rings, steel toolbox.